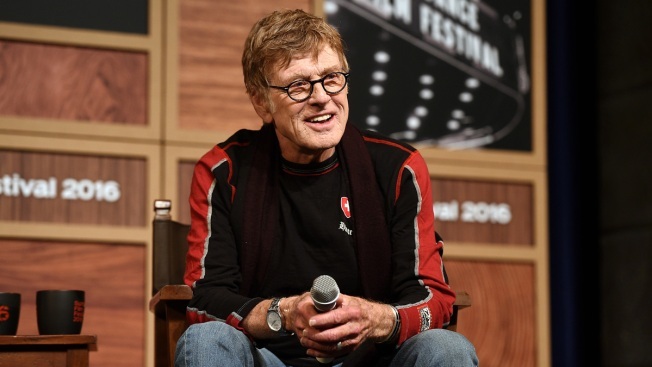 The Oscar winner was in the state last month to film "The Discovery"
Sundance Institute President Robert Redford answers questions on the first day of the 2016 Sundance Film Festival on Jan. 21, 2016 in Park City, Utah. Robert Redford has sent a thank-you note to the Rhode Island city of Newport, where he recently filmed a movie. The Oscar winner was in the state last month to film "The Discovery." The Newport Daily News reports the one-page note is on Redford's personal letterhead, with his signature at the bottom. In it, Redford says he was pleasantly surprised to learn the city looks and feels almost exactly as it did when he first went there 40 years ago to film "The Great Gatsby." He commended the community for the vision and care it has demonstrated to preserve its historical and culturally significant properties and for its welcoming and warm spirit. The 79-year-old won an Academy Award in 1981 for best director for "Ordinary People."